Contouring has been a huge makeup trend over the past few years, with the likes of the Kardashians and Beyonce rocking super sharp faux-cheekbones. However, it’s super easy to end up with less of a shapely contour and more of a terracota line down your cheek. Soap & Glory have launched a super cute little 3 in 1 contour kit designed to make the whole process a lot easier, which I decided to put to the test. Darker shade to add definition in the hollows of the cheeks, along the hairline and under the jaw bone. A highlight shade to lift and add light to under the eyes/tops of cheekbones and forehead. Blush shade to add a flush of healthy colour and glow. The compact comes with a small leaflet which has pictures and guidance of where to apply all the colours which would be fantastic for beginners! I use the shade “Fair’s Fair” however in all honesty the contour colour would still be fantastic for medium skin tones also. Contour, blush and highlight shades on my fair skin. I simply apply the products with my fingers, and then use a beauty blender to blend them out. The contour colour is great as its not too warm yet not too cool. Its super blendable which makes it hard to go wrong with it, and it can be built up easily. The blush shade has actually become my firm favourite from the compact for adding a super healthy flush to my cheeks on a day to day basis. I was a bit sceptical about the highlight shade as I usually reach for a super shimmery shade however I did like the brightness this added to my skin. Overall, I’m really impressed with the contour kit. Ive never tried a whole cream kit like this before from the drugstore and for the pricepoint I think it is great. As it’s so blendable, it’s also great for everyday use! If you fancy winning a full size The Mighty Contourer in “Fair’s Fair” to try yourself, head over to my Instagram here to find out how! You can buy The Mighty Contourer from Boots for £12. What’s your favourite contour product? *Blog supported by Soap and Glory. All views are my own. What The Puck’s happening at Glasgow Caledonian University? Hey everyone! I’m taking a little break from my usual blogging schedule to let you all know that Soap & Glory are heading back to campus tomorrow (Tuesday 25th April) to host a “Where the PUCK is he?” event. Grab your squad and head on down to campus to hunt down our glow in the dark pucks (we’ll have hid hundreds of them!) to win some amazing Soap & Glory bath, body and beautystuffs! If you’re really eagle-eyed and find our shiny Golden puck, you could be in with the chance of winning a whole years supply of Soap & Glory! I’ll respond letting you know where our secret location on campus is, where you can then trade in your duck for some amazing Soap & Glory goodies! Keep an eye on the event on the day to find out where our #wherethepuck stations are to come and collect your freebies, and some pretty in pink hints around where our lucrative golden pucks location. *Featured image courtesy of our lovely friends at Soap&GloryUSA on Instagram. Blog supported by Soap & Glory, all views are my own. One thing I absolutely love playing around with is new eyeshadow palettes. I mean, I definitely don’t need anymore, but somehow I always manage to find space in my drawer for yet another. 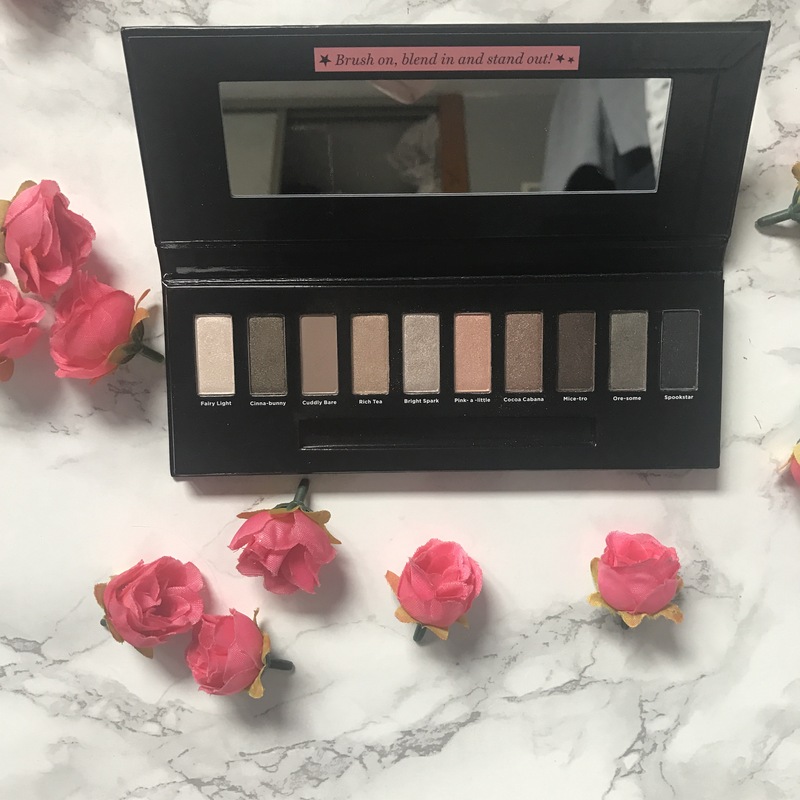 When I received the “Kick Into Neutral” palette from Soap & Glory, I was so excited as I already own one of their old quad palettes which I used to use to death. I’ve been using the palette to do an everyday light smokey eye, which I’ve been absolutely loving. If you’re new to smokey eyes or just unsure on how to do them, the amazing Rosanna has a fantastic video here which is so easy to follow. I applied the matte shade in “Cuddly Bare” in my crease as my transition shade. It’s a really lovely cool toned brown which would do with pretty much any of the other colours in the palette. I then applied the shade “Bright Spark” on the inner 3/4 of my eye, and finally I used a flatter shadow brush to pack on the shade “Mice-tro” on the outer 1/4 to deepen it up. 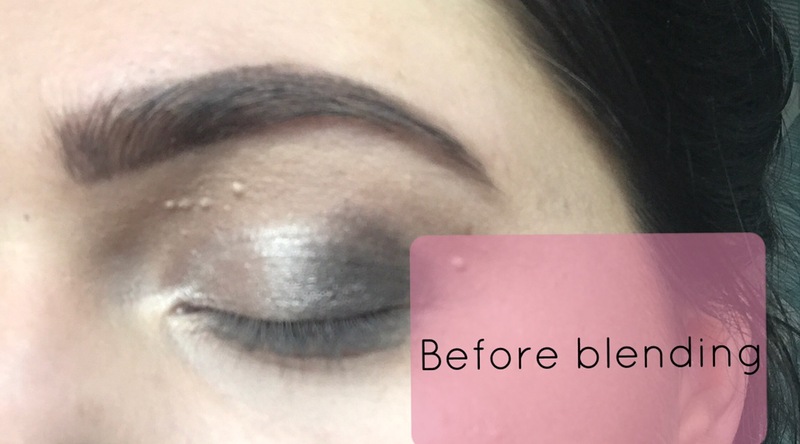 The key to smokey eyes is blend, blend, blend. It doesn’t have to be a neat application as long as you blend it out. I use a Zoeva 231 and find it works a dream to blend the shadows out. I use the shade Cuddly Bare again to run over the crease and blend out the dark colour. I then applied the Soap & Glory “Supercat” pen liner to create a wing. I used to be extremely loyal to this liner so already knew I really liked it. The liner nib is a nice size as it’s not too thick or thin. Pen liners are by far my favourite as I find them easiest to control. 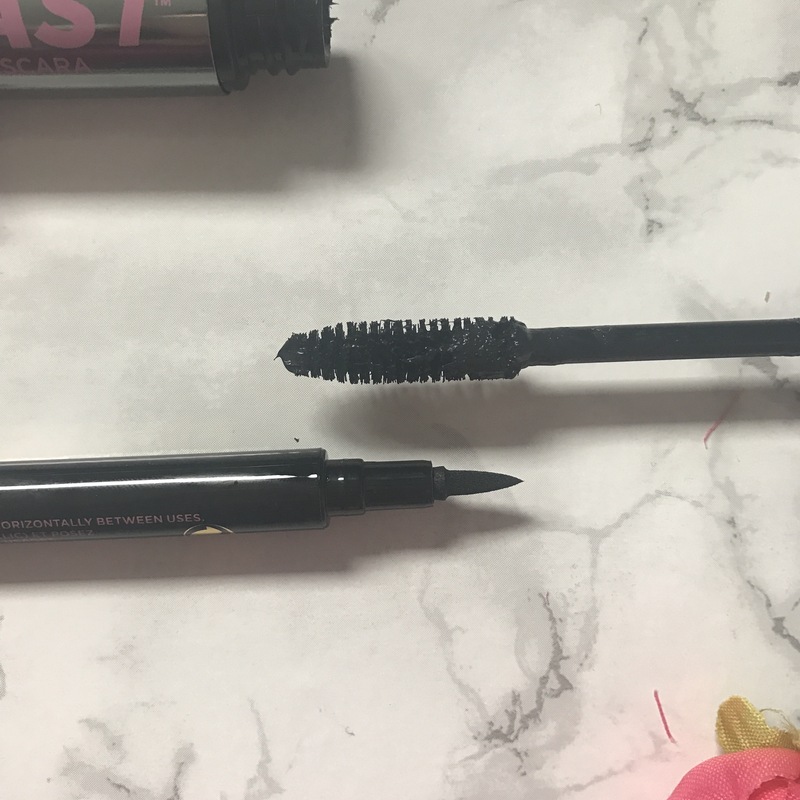 Finally, I coated my lashes in some of the “Thick and Fast” mascara to finish the look. Overall, I’m really impressed with the pigment and performance of the eyeshadows considering they are only £13 for 10 shadows. The colours “Rich Tea” (a gorgeous shimmery gold) and “Pink-a-little” are also so so pretty for daytime use. The shadows last all day and don’t budge. Hope this tutorial was helpful!